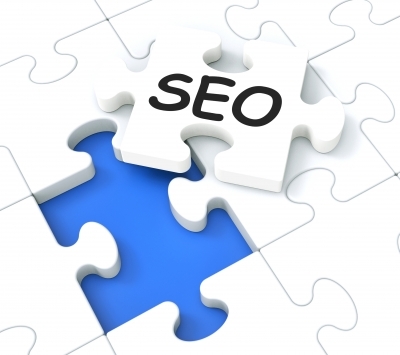 The recent updates in the search engine industry even makes it more interesting and simple. Search bots are no longer interested in keyword occurrences in your article. How to get good keywords from GWT -The best free online keyword tool? I think Google Webmaster tools is the best and most recommended free online keyword research tool from an almost neglected perspective. Generally, online marketers and bloggers often go looking for which keywords are pulling traffic to other websites, which keyword is ranking other websites on page #1, which keywords is not competitive, etc. We concentrate on keywords that are working for others (and start competing with them) rather than looking for keywords that are already working for us and improve on them. That’s the almost neglected perspective I underlined above – looking for keywords that are already working for us and tweaking for more results! Google Webmaster Tools helps you in this; Shows you keywords that are already pulling traffic to your blog so you can focus on them for a better search ranking and more natural traffic. Knowing these points will help us do more keyword research and optimize our articles for more search traffic. Impressions are simply the number of times your entries show up on search engine result page. From your GWT, you find out that some keywords generate more impressions and low clicks. What’s the possible explanation? Look at my example below. The keyword “Make Money blogging” generates over 1000k impressions and 1 clicks to 1 url during the last 30 days. There is a simple reason for the low clicks – My entries don’t show up on Google page #1. According to this report, the average position on Google search result where my entry is found is 53, that’s from page #5. The keyword atomic email hunter gets 282 impressions. That puts me on position 20+ with 1 click. Now, I think these keywords are easy to rank on Google. Sometimes we run after popular keywords that are quite hard to rank for. We can do better tweaking and trying to rank for these little known phrases. They are they low hanging fruits. You can easily do some optimization and shoot yourself to page 1. From the example above, I can easily optimize the blog post that gets ranked for the keyword atomic email hunter and move up to page 1. These are absolutely good keywords because I’m already getting some exposure from them. For the most part, the articles ranked were not originally optimized for these keywords. GWT is just being awesome by helping us discover what’s working for us. It’s possible to use Google Webmaster Tools as a free keyword tool to improve your search engine rankings. How do you use this tool exactly? Tweak these pages to improve ranking and attract more clicks. Logon to your GWT account and click Search Traffic – > Search Queries on the left menu. On the page that follows, click the “Impressions” tab to show by descending order – from the highest to the lowest. To see the pages that show up on search result pages for each keyword, click the keyword in question. Let’s engage! Now you know how to get good keywords from gwt so Speak your mind in the comment box below. What do you think about GWT being an important free keyword tool? Help share this article on social media for more exposure. That’s a refreshing and never tried before method for me. As you said in the article, most of us are busy analyzing others’ Keywords, the KWs benefiting them and then we jump in, and start competing with them. It is like- we are so busy observing others and studying them that we forget to take a look at ourselves (our blog)! That’s a nice strategy shared by you. Making use of Google Webmaster Tools and taking note of KWs getting huge impressions and less traffic sounds clever. It certainly makes sense to work on such articles, tweak them, improve them and land on first page of Google SERP! Worth giving a try to this strategy, and I sure will give it a try! So good to see you around and thanks for the excellent comment. That was really a great article on a free online keyword tool. I must confess, I have not been doing any keyword research. I have always been a fan of SEO and will like to know more, though still reading articles and will not rest until I get there. I will put this into practice and hope to testify. Meanwhile, do give SEO a chance and let’s see what it can bring to you. I cannot deny the importance of Google Webmaster tool but I have problem considering it as the best free online keyword tool. Yes, it can be used for monitoring impressions, clicks, and trends, but I don’t see it as too which has the capacity to do a thorough competition analysis – which is vital for selecting keywords. The GWT is too generic in its results. The trial versions of Market Samurai or the Long Tail Pro tools can provide better results. There are great tools out there of course and keyword research is broad. But like I pointed out, from the perspective of knowing what already works, this one stands out as a free tool. Hello Enstine, I do agree with your opening statement “keyword research is the most important and crucial step in any successful online campaign” But yet I am not one to waste much time on this one. I do like how you share with us how to go about all of this and do appreciate it but..
P.S. I did land on your blog Via Kingged where I also commented and kingged this post..
Great Informative Post. The Google webmaster tool is great. There are many hidden options available in google webmaster tool to get ranked higher in search engine. You only need to focus and make some improvement in your content according to that. I often forget to look at the keywords that work well for me on my blog and write around those subjects too. I use Market Samurai to find new long tail keywords but it makes sense to concentrate on keywords that are bringing traffic to our site already as well. I can’t remember the last time I logged into Google Webmaster Tools so I’m going to make sure I do it later today! Tim Bonner recently posted…Do You Really Need A WordPress Child Theme? I use GWT and LongTailPro together. The insights given by GWT is unparalleled..and of course, you target Google traffic so it makes much sense to use their own keyword tool. I have tried, didn’t worked. This isn’t a keyword tool, but suggestion on relevancy and probable rankings (almost never) in different search results, including images. The best keyword tool is pen and paper. how profitable is that keyword? Some keywords can send you so much traffic and no cash. I thought to give a shout so that other bloggers will look critically at the profitability of the keywords they will be pushing for an up ranking in GWT. I do understand the importance of these tools and I see it on this post you have created. Sure Keyword selection cannot just be done with closed eyes otherwise you with diehard without reaching your target. Though nowadays every keyword is there which many people fear especially if they had already chosen the ones to use. It is logic to use such effective tool as Webmater Tools. After all we are paying Google noting while using them. Just landed here after a long time, You know I’ve already read your interview at “sylvianenuccio” and I must say it was superb to read. Now coming to the post, Yes I’ve been using google web master tools since a long time but never care about the additional features like you’ve mentioned in the post. I truly agree with you that google webmaster tool is best free tool ever for keyword research. I am using this tool from the past six months. We can easily fill our potholes using this tools. Like I stopped using the keyword with lowest CTR and started focusing on the keyword which was giving me the maximum impressions. I must say this is the best article for newbies who want to give a boost to their website by proper keyword research. I agree with you, most people overlook Google Webmaster Tools and they were freaking out when Google Analytics did away with their keyword function. I was scratching my head because although I was upset it wasn’t like you still didn’t know. I just know that some people, although they have set all this up in the beginning, totally forget about it. They don’t know about their crawl errors or any of the other things that Google Webmaster Tools offer. I usually only head over there about once a month, sometimes more, but it’s definitely a service you do not want to forget about. Thanks for bringing it to everyone’s attention again. I log into my GWT almost daily to monitor the changes on my blog. This may not be the case with everyone but I think there are some key data in there to pay attention to. Hi Enstine, this is insightful and explicit. The challenge most of the time is the issue of discipline….knowing what to do and doing it. This is a wake up call to one of the basics of successful blogging career- keyword research. Keyword tools are great in gathering ideas. I think GMK is a good tool also and for the fact that it is free of charge. Great data presentation Enstine, well explained why some can gain impressions and why you have low clicks. I will take note with the bullets shared on the bottom line. Thanks for this! Another instructive post. You’re right, while we don’t want to worry too much about keywords as much as we used to and want our articles to be sounding good for human readers, we can not forget spiders and still want to mind natural keywords that’s going to help us be found. When I look at my GMT keywords it really gives me ideas, but at times I also find keywords that don’t make sense, but I guess that part of the game. Thank you for sharing your expertise with us again. i am using webmaster tools to track my blog performace.the only thing i don’t like is it doesn’t show all the backlinks. However, do you make use of the keywords listed? We spend a lot of time trying to work out what keywords to use and what the competition is like, but funnily we don’t actually spend that much time analyzing what is already working for us. This is what the GWT can do. It’s good to be reminded about this tool!! I’m not paying so much attention as of now, I’ve noticed what keywords tend to bring more search engine traffic, I’m glad that traffic convert into money more or less. As I’m studying your excellent post, even though your main theme focused on “how to” improve the performance of the keywords and keyword phrases that are already working! It dawned on me “how” similar and applicable your advice is to most struggling cash starved small business owners and or service providers in general! They often spend way too much time (and unfortunately) money and effort chasing after new and (not yet proven) profitable customers and clients! When a ton more net profit can be gained simply by (over servicing) and marketing to your current customers and clients! Bingo! Reading your post really drives the this point home even further! Thanks for sharing and solidifying an extremely powerful and far too often overlooked, proven marketing gem! Will definitely share this one! Nice tips and Yes, Google Provides some awesome tool like webmaster or analytics which really help us. Keyword research is very important factor in blogging and webmaster and adwords really help us in researching keywords. This post really gonna help many newbies. Good tips,yes I agree that Google adword is best keyword tool. This was the best content i have ever read on internet, I followed your all steps and many keywords for my site was ranking but i was not familiar with this information. Thumb Up for the content, Thank God , I have added you on Facebook where i get notification of each content you publish. Next time please let me know how can we increase traffic by Social media sites. Great Informative Post. The Google webmaster tool is great. I always follow your instruction . It’s really working good. Now I will do your new system. It’s really nice way to getting googel #1. Brilliant! Just now I downloaded the file from GWT. Quite helpful. Will definitely work to get better goggle rankings. Thanks again. Super! Going through this way I found various queries for my blog getting large number of impressions but very small number of clicks. Now I believe somehow tweaking my articles for those queries could result better search engine ranking. Thanxx for the post today i know about GWT is also used to get keywords. i will give it a try but iam sure iam going to fail but i will try. I landed your site many time but commenting first time here! Just because I really liked your Approch after post publish to get article rank further ! Its Like Revers Engineering Approach To mE!! I don’t know how I skipped this post, but I’m glad I was able to land on it now. I never really check GWT. I’m always on Google Analytics, but this information is good to know. I saw that it made some changes as far as the format is concerned, but the information is still relevant. It’s a smart thing to consider when you focus on the keywords that are already working more so than searching for new ones. Great idea that I haven’t implemented myself but I can definitely see how valuable those queries are. I’ve had great success with tweaking articles and now this is another valuable asset when it comes to that process. I also wanted to let you know that I’ve had a ton of success with your previous post about increasing the value of your top landing pages. I’ve done a bunch of testing and just from ads alone I’ve doubled their revenue. Thanks again for all your tips – they’re straight forward and easy for a newbie like myself to follow. Thanks for coming back to drop a feedback. Keyword research is definitely something that many blogging rookies oversee, that is why we should spread the word about the power of using GWT! I’m gonna share this post on my socials ASAP! Your great call to action in my inbox stumbled me in this post! I was upset to know this and at last you revealed how you use this tool and move google #1. Really i had never aware of using this great tool. And you said keyword research is the most important step in any online campaign and we make some wrong while selecting profitable keyword. Yes, completely agreed! I did also! Yes, google keyword tool is also a great tool for researching good keywords. However, thanks for sharing this awesome article with us. Will definitely give a try as you said Google webmaster tool is best free tool. Let’s see how it works. Bookmarked for further reference! Really insightful post brother. I agree with you on the point that many of us know that going after the big fish all of the time is not a good practice still we go crazy and try and rank for them even when we know we will be outranked soon enough. It’s the small fish that require our attention. Lots of small fish > Big fish. Thank you for this article. I didn’t realize that I had some high traffic keywords I was doing fairly well for. Specifically the one “RAID Data Recovery Cost” which I ranked #14 for. I’m writing a blog post now specifically geared toward that keyword and hoping to get some high rank traffic for it since that’s actually one of my money keywords. Though is seems that most the other “low fruit” is just reviews which drive traffic, but not money to my site. Honestly, I’m challenged by this piece.Because,I am someone who has developed phobia for keyword research.I don’t do it.I do feel reluctant searching for any keyword.But deep in me,I know that is what I need to excel in my blogging endeavour. With Mr.Muki’s write-up,I’m encouraged to love keyword research. I always give priority to Google keyword tool, because it fetch the best keywords for my business. My strategy is to find long tail keywords and rank them, as you mentioned popular “stereotype” keywords take some time to rank. Another great tip from the boss. You always came with nice strategy. It is a good idea that we should improve the ranking of our current keywords rather than finding new keywords and rank them. I have one suggestion that we should not only stay on the 1st page of the google. Our Keywords should be above the fold. If we are on the 1st page of the Google but below the fold then there are very fewer chances that we will get traffic. The Target should above the fold. Nice tool, now i will use this tool and will try to tweak all my articles on my blog. And will make sure that i will find keywords with this tool for further articles i write on my blog. Good tips for to focus which keywords are helpful for writing articles. I find the “Search Console” (GWT renamed) very valuable. But in the new interface, the page title for the search queries was removed. In earlier GWT it was possible to see all the queries for a particular page. Do you know of any trick to make this happen again? You are right, Google Webmaster Tool has lots of feature that we don’t use, We only check duplicate title tags or description, Link to your sites etc. But this information is great for me because I can improve those keyword that are coming in 3 to 4 page of Google. Thanks Enstine for sharing such great tips with us. OMG! Really great Information from your site . There is no confusion on selecting keywords with an free tool . I always use the Google keyword tool, because it gives the best keywords for my business. But there is a skill to use that. A noob can’t utilise it proper way. Good post ! You have described it amazingly as your post is useful for many newbies. Really a great work from your side. Keep updating your thoughts with the readers. You made it really easy to understand how to do keyword research the right way. I really learned something new about keyword planning. You helped me a lot so I just wanna say thanks to you. Hemantkumar recently posted…How To Do Keyword Research For Seo (Step By Step). I read your Keyword topics. There have some tools like that Google webmaster and google adwords. But those spend your more time and keep you busy 🙂 Recently I got a Best Fish Finder Keyword manually use those tools. Thanks enstine muki its realy awesome post for new keyword idea with the help of google webmaster tool. i hope you provide me more valuable post in future. oh have right point . with the help of less competition we can rank our blog post. amazing article.